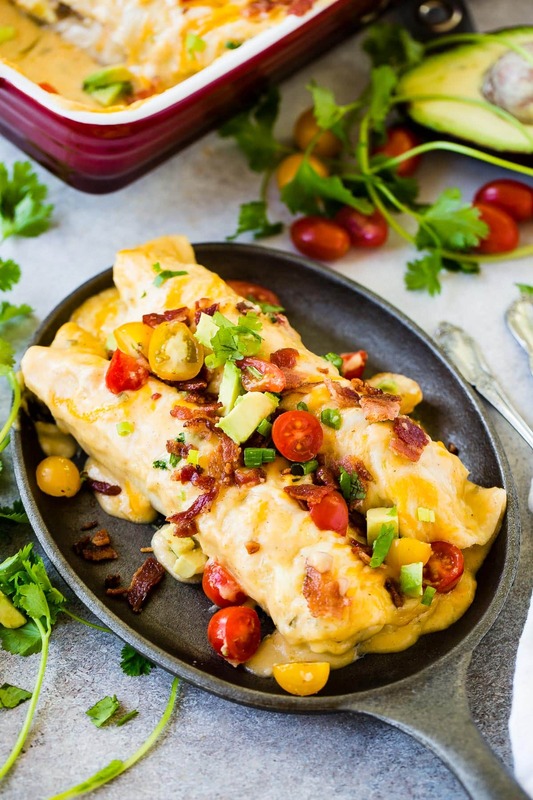 The holidays are here and you need breakfast enchiladas to feed a crowd. You do. 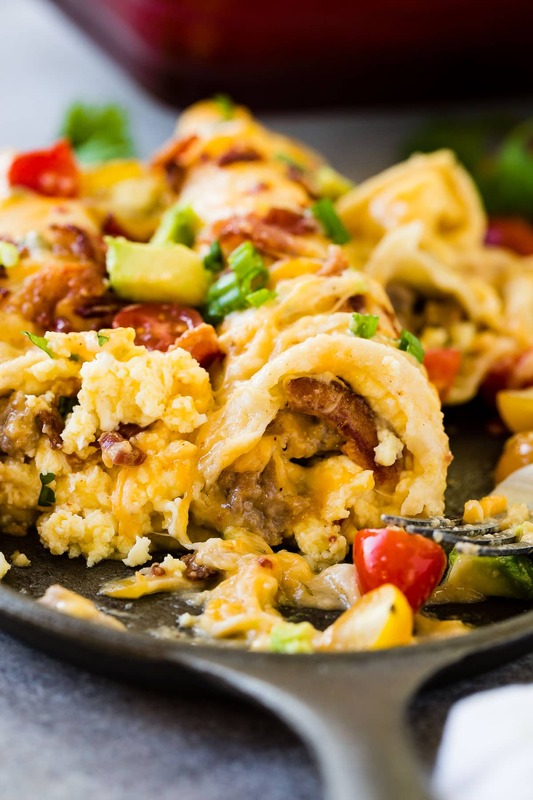 Make these Cheesy Salsa Verde Sausage Breakfast Enchiladas! Why is Salsa Verde Green? Tomatillos give salsa verde its characteristic green color and tangy flavor. … Green taco sauce is not the same as salsa verde, as it typically also includes green tomatoes in its ingredients. Why does company often make surprise visits or extend stays? We can’t possibly be the only ones that this has happened to. After watching Carrian stressing about pulling together a huge breakfast I was determined to find something that we could make for a crowd of people that wasn’t sweet and wouldn’t require either of us to stand there flipping pancakes all morning. 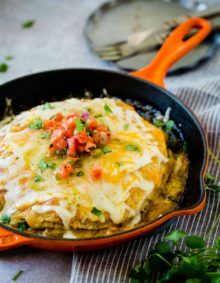 I think these cheesy salsa verde sausage breakfast enchiladas are the best breakfast recipe idea for the holidays. Then Carrian went to a baby shower for one of our social media managers put on by one of our best friends. She adores both women, but came home talking about the food so I knew she’d found a winner. 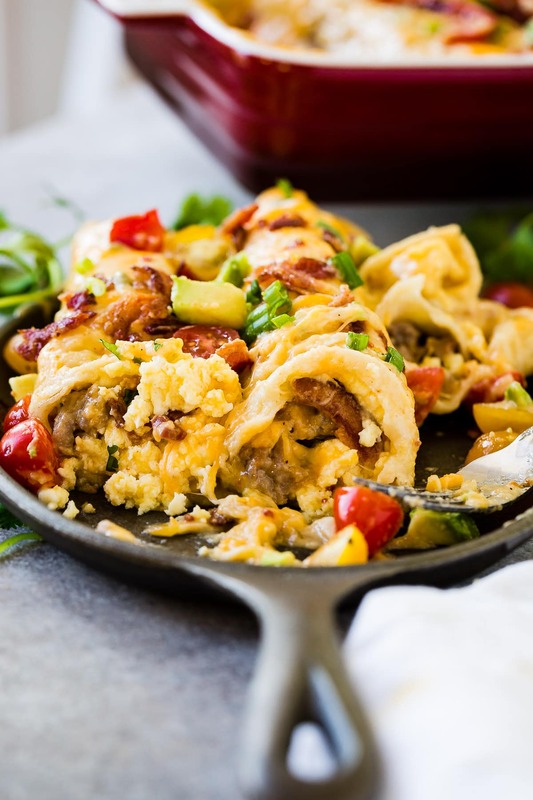 Within days she had the recipe from Momma Ellison (as Carrian calls her) and I have to admit, as a die hard Nutella Crepes fan I’ve been sold on these Cheesy Salsa Verde Sausage Breakfast Enchiladas. Yes, you can make breakfast enchiladas ahead of time, but make sure that you roll the tortillas tightly as the looser they are the more air will get in and dry everything out. We also like to allow the fillings to cool before rolling them in the tortillas so that the heat doesn’t make them soggy. Next, make your cheese sauce for enchiladas but make sure that you store it in an airtight container so that you can pour it over everything in the morning before baking. Again, soggy factor. Finally, leave the bacon off until serving. There’s a cheese sauce on these enchiladas. That’s right, it’s not just cheese sprinkled on top, there’s a whole lot of sauce that’s covering those tortilla rolls. Carrian says that cheese sauce makes the world go round and though I’m trying hard to eat healthy right now I have to agree. The best tip for making breakfast enchiladas is to make the eggs first and let them sit while you make the sauce. 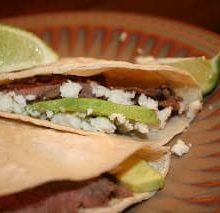 They will cool in the skillet just enough to cut them in the pan and remove whole slices to roll up in the tortillas. I never know how much filling to add so by the end I usually have too much or too little leftover and this way I can evenly divide it into 8-10 sections plus it’s easier to lift onto the tortilla without eggs rolling everywhere. 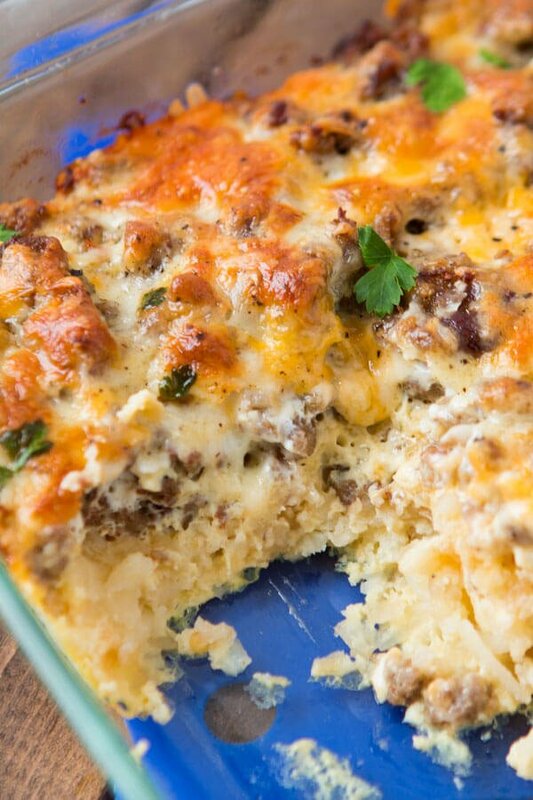 Can Cheesy Salsa Verde Sausage Breakfast Enchiladas be Made Ahead? To make ahead: Follow recipe through arranging tortilla in dish, but do not top with sauce. 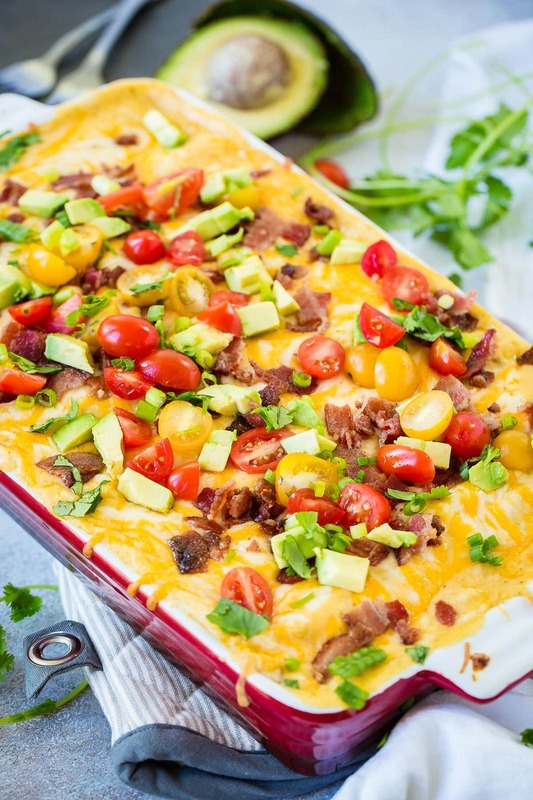 Cover enchiladas with foil and refrigerate. Warm sauce before pouring over enchiladas … Baking time will be a little longer than 25 minutes due to the enchiladas being cold. Did you know that leaving the salt in the egg and milk (you need milk too!!) mixture for up to 30 minutes will give you fluffier eggs? That’s the secret! A cheese sauce is a tricky thing to make. So many times it can end up bland. Cheese, if you think about it isn’t often that strong in flavor. Not in terms of cheese sprinkled on enchiladas that is. Salt is key when making cheese sauce. Make sure you wait until the end to add it so that you don’t over salt but then keep taste testing until you get it right. 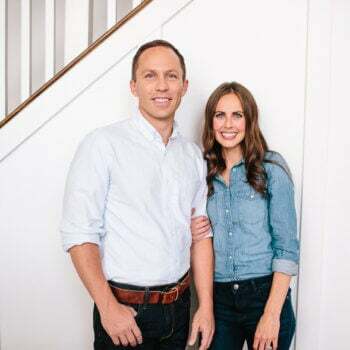 I am more likely to get grossed out than Carrian is if you double dip so just go ahead and use a new spoon before I end up like those dads changing their baby’s poopy diaper. You know the you tube videos I’m referring to. Really though, these enchiladas are irresistible. Make sure you choose a finely shredded Mexican Cheese blend from the store as it not only melted the best but had the best flavor. We also stuck with Herdez fresh Salsa Verde which also had the best flavor and wasn’t as watered down as other varieties. Spraying the bottom of the pan with a little nonstick spray and the salsa verde helped the enchiladas not stick to the pan, but you could always use a little cheese sauce too. 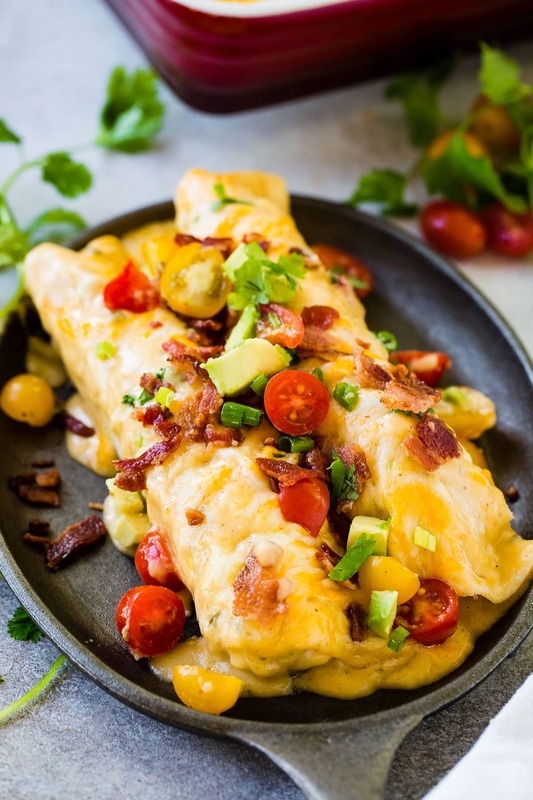 Can Cheesy Salsa Verde Sausage Breakfast Enchiladas be Frozen? I have found that my enchiladas freeze much better if I bake them first. I make them exactly as I would if I were going to bake and serve them except that I don’t put any cheese on top. I bake the enchiladas, let them cool some and wrap and freeze them. Sometimes I’ll put cheese on top before I freeze them and sometimes I skip that. It doesn’t seem to matter too much though I find that non-frozen cheese tends to brown more nicely than frozen cheese. They both melt about the same, though. I like the brown bits, so I usually wait and add fresh cheese right before reheating the frozen enchiladas. If you’re going to skip the baking, I’d still add the sauce and freeze it that way. The sauce will help keep things from drying out in the freezer. In a large bowl, whisk eggs with milk. Add salt. 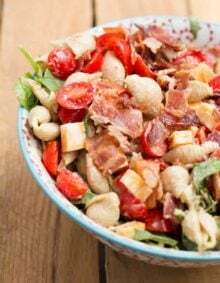 Allow to rest in the fridge for up to 30 minutes while you prep the other ingredients. Brown the sausage over medium high heat in a pan and then remove it from the heat and set aside on a paper towel lined plate. Pour the beaten eggs into a greased high lipped saute pan and cook on medium high heat, stirring frequently until they are scrambled, but not dried out. Set aside. Meanwhile, whisk the butter over medium high heat in a pot until melted. Add the flour and whisk into a paste for 30-60 seconds. Gradually whisk in the milk and bring to a gentle boil, stirring occasionally, until thickened slightly. Add the Herdez salsa verde, spices, and cheese. Heat the tortillas in a very hot pan on each side or stacked in a clean dish towel and microwaved until warm. Next, divide the eggs, sausage and shredded cheese evenly between the tortillas. If you're using smaller tortillas you'll need 10 but otherwise you'll only need 8. Spray the bottom of a 9x13" baking pan with nonstick spray and add a little more salsa verde, about 1/3- 1/2 cup. You may add some of the cheese sauce if you prefer. Roll the tortillas with filling up and place them seam side down in the baking dish. Pour the cheese sauce over the tortillas, and then sprinkle with as much cheese as you'd like. Bake for 20-25 minutes. The edges of the tortillas will be golden brown and the cheese will be melted. Remove the pan from the oven, and add toppings and a drizzle of salsa verde as desired. This dish can be made ahead but we prefer to store the sauce separate from the enchiladas until they are ready to be baked. 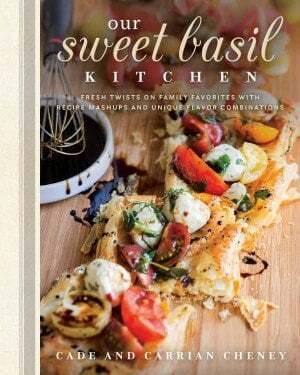 I can’t seem to find the actual recipe, just pictures and commentary, am I missing something? Thank you. Sorry, it was having a glitch but it should be there now. You should be seeing it at the bottom of the post. Am I missing something? I don’t see the actual recipe. Oh what a relief–! I thought it was my incompetence with things electronic that kept me from finding the recipe! I’m so glad it’s not just me! I thought I was losing it. 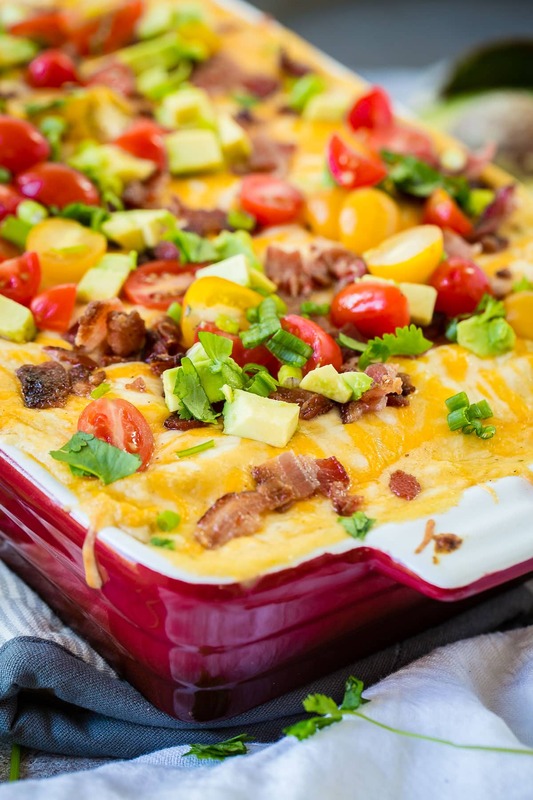 I’m feeling kind of crazy………….I can’t find the recipe for the breakfast enchiladas. HELP!!!!! They look so good, I want to make them. Ditto… I’ve gone 0ut and came back to the page thinking I was missing something but can’t find it either. I would love the recipe as well! !